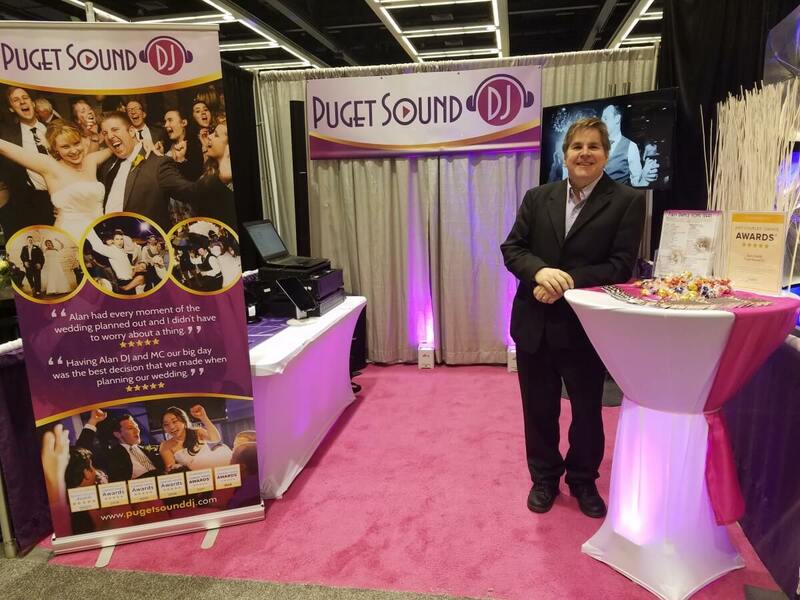 January is a time of year, especially in the Seattle area, with a lot of wedding shows. They are a terrific opportunity for engaged couples to really kick your wedding-planning into high gear. With all those wedding professionals under one (very big) roof, you’re going to want to strategize so that you can take full advantage of the opportunity. Have a plan, if you can. The Seattle Wedding Show is the biggest, baddest show on the West Coast. 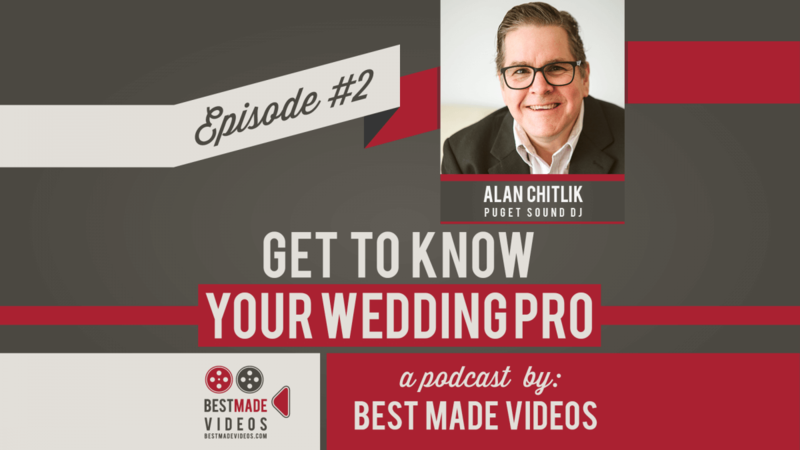 It’s an amazing chance to talk to hundreds of wedding pros. But it can also feel overwhelming. So, think through your priorities and focus on those categories where you still need help. Check out the vendor list and the maps in advance. You can see the locations for vendors in all 27 (!) categories here: https://weddingshow.com/show/floorplan. Pick a perfect posse. Bring people whose opinions you trust and you think would be fun to spend the time with. Your fiancé, bridesmaids and parents are all great candidates. Your team is there for feedback, support and energy. And to gather the chocolate! On the flip side, don’t drag anybody there. You want to see everything at your pace and not have to stress about your companion(s) getting bored. After the show, take them out for some fun drinks or dinner in appreciation of their input (and for their inevitable bag-carrying help). Zig when others zag. Especially during some of the peak times, the crowds can be large. For mysterious reasons, most folks start by going to the right. So, go left instead. And if you aren’t particularly interested in the fashion show, take advantage of that time with vendors. If you’re there when the doors open, consider walking straight to the back and then working your way forward. Jump-start your time at each booth. Say hi and feel free to share when and where you’re getting married (if you know already). If you need a conversation starter, here’s one: “What should I consider when hiring a BLANK? (And I don’t mean to imply that you are going to hire a blank. That’s more a substitute for whatever type of vendor you are talking to.) Each vendor will likely answer with something that they do well, but you’re smart – you can sort through all that. Take time to take notes. You are going to see a lot of people and have a lot of conversations. And pretty soon it may all feel like a bunch of wedding-show-mush in your brain. And the last think you want in your brain is wedding-show-mush. Remember what you’re there for. Big picture, you are looking to create an all-star team that will work together and have your back for your entire day. You really want a good personality match in several categories. I’d put photographer and DJ high on that list. When you talk to vendors, try to get a feel for who they are and what’s their style. Are they more interested in listening or talking? Do they seem to care about you? Or do they just want to talk on and on about how great they are? Before the show: Create a wedding-only email account. This could be live.com, gmail.com or wherever. 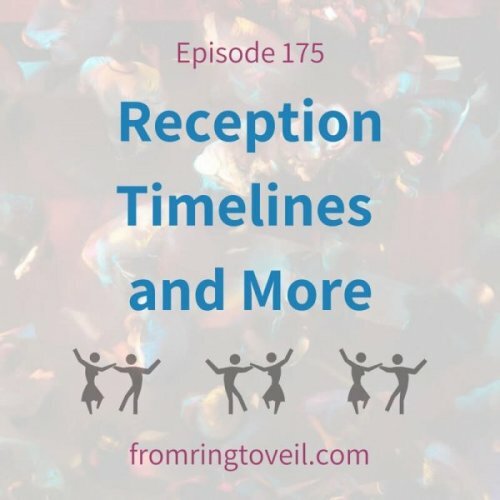 All your wedding email will be in one place and you and your fiancé can access it. Before the show: Preprint labels with your information. Provide as much detail as you think is appropriate. Certainly, your name, your partner’s name, wedding date/location info and contact info are a good place to start. That way, you can quickly provide that info to vendors you’re interested in getting a call from (and, labels are great for entering vendors’ contests). After the show: Be Proactive Here’s a secret – many vendors are also a bit overwhelmed by a show of this size, too. So, if there are some who stand out as people you really want to work with, take the initiative to contact them. Suggest your preferred next step – a phone call, tasting, in-person consultation or whatever. That will help you make sure you put together the team you want. Being proactive is especially important if you are getting married on a Saturday in July, August, or September, when vendors in the Northwest tend to get booked quickly. Whew. I know that’s a lot to take in. But I’m hopeful these tips will alleviate some of your stress, so that you can enjoy the show and still feel like you’re maximizing your time. I’m rooting for you to have a fun weekend really envisioning what you want your wedding to be like, and putting yourself in a position to make it happen! I will be in booth 309. I hope you’ll stop by and say hi. I’d love to meet you.